Voters in Texas County who want to have absentee ballots mailed to them for the February 14, Hardesty, Texhoma Annual School Board and Bond Election should apply now, County Election Board Secretary Glenda Williams said today. 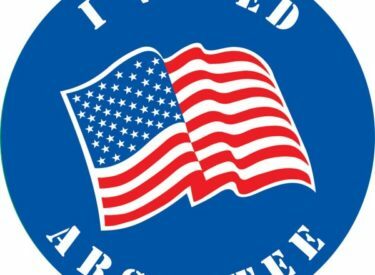 Although the County Election Board can accept applications for absentee ballots until 5 p.m. on Wednesday, February 8, Williams urged voters who want to vote by absentee ballot to apply early. Absentee ballot application forms are available at the County Election Board office located at 301 N Main St. An online version of the form can be filled out and submitted electronically at: www.elections.ok.gov. A print form can also be downloaded at that address. Ballots must be in the hands of County Election Board officials by 7 p.m. on Election Day to be counted. Williams said any registered voter may vote by absentee ballot in any election in which he/she is eligible to vote. However, a voter must be registered and reside at an address within the geographical boundaries of a school district or a municipality to be eligible to vote in school district or municipal elections. It is not necessary to give a reason for voting absentee. “While anyone can vote absentee without giving a reason, the law still provides several advantages to absentee voters in some categories,” Williams said. related within the third degree of consanguinity or affinity to any person whose name appears on the ballot. • Voters who are confined to nursing homes in the county may vote absentee. An Absentee Voting Board actually goes to the nursing home a few days before the election, sets up a small polling place and allows these persons to vote under circumstances similar to those at a regular precinct polling place. They may apply only by mail, by fax, by email, online or via an agent who is at least 16 years of age and who is not employed by or related within the third degree of consanguinity or affinity to any person whose name appears on the ballot..
• Military personnel and residents of the county living overseas and the spouses and dependents of each group are eligible receive absentee ballots. These voters may apply only by mail, fax, or by email. Military personnel should contact the Voting Service Officers in their units for application forms and additional information or visit the Federal Voting Assistance Program website (www.fvap.gov/oklahoma) for more information and instructions. Residents of Oklahoma living overseas can obtain the same materials from any United States military installation and from United States Embassies and Consulates as well as on the FVAP website.